The first proper week of school is almost over. For Zac it means a momentary relief from homework which he has been given solidly this whole week. He’s in year 8 now. Looking back at a photo I took of him doing homework on one of the first days of school last year, I realised how much he’s grown. I mean we’ve seen it happen gradually, but this is more of a stark before and after picture. He’s matured in his attitude, too – mindfully telling me he actually likes school, likes being in class and especially loves being around his friends. He’s also admitted he liked doing assignments and even exam study… Then there is the fact that his pants actually fit him now and he no longer looks like he’s wearing an older sibling’s hand-me-downs. Speaking of mindful changes… Liana surprised me as well, although her transition into year 7 has been a lot softer in terms of the volume of homework, much to Zac’s annoyance, I must add. She came to me on the weekend explaining all about this new lunchbox she had that would allow he to take recess and a salad for lunch to school, because now that she was in high school she wanted to eat healthier. In fact, this whole week she’s been taking a wonderful mixture of salads to school and being mindful about what she ate for afternoon tea as well, preparing herself colorful plates of mostly real food snacks. I could not be more proud! So, now, for the beetroot mash. 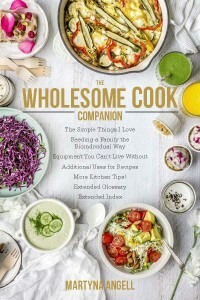 The recipe comes from page 165 of The Wholesome Cook book and is one of my all-time favourite mash recipes, alongside the other two included in the book. The beautifully crimson-red number goes perfectly well with rissoles, mixed into risotto or served with firm white fish such as the swordfish. 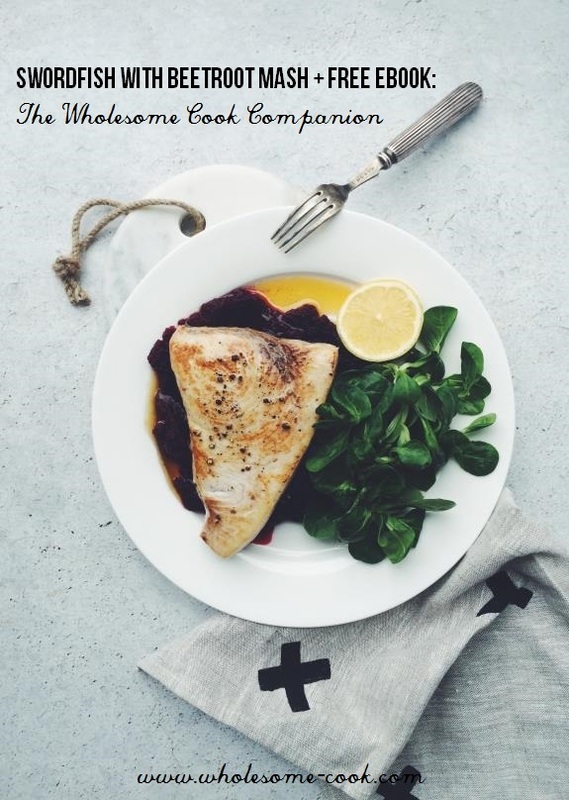 I actually discovered swordfish by chance and enjoyed the firm texture of the fish – similar to that of Spanish mackerel or indeed pork cutlets – very much. Even Matt liked it, and he is a little bit of a fussy fish eater. It does contain higher levels of mercury so don’t go eating 2-3 serves a week, but once a fortnight or so, it’s quite okay to do. I hope you enjoy! GET IT FREE from my store here. 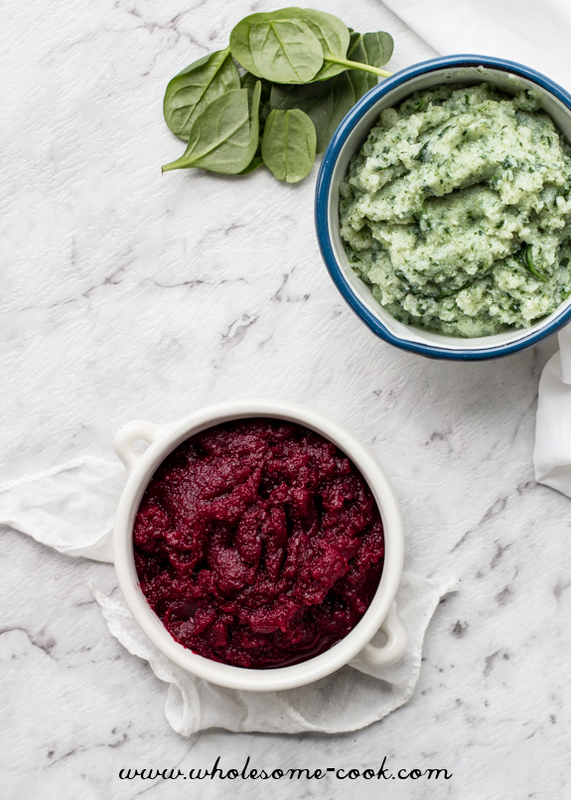 This is one type of mash I always get excited about, and given the Aussie infatuation with beetroot, I think it could become your new favourite too. 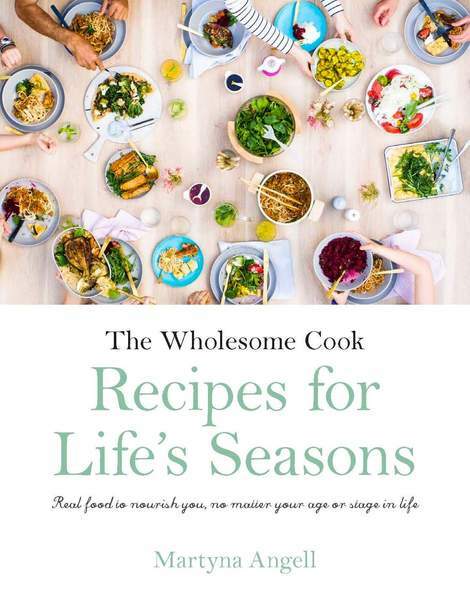 I often serve it with rissoles or Midweek Meatloaf (page 221 or The Wholesome Cook book) but it’s extremely versatile and goes well served warm with roasted chook and grilled fish such as the swordfish here. The mash serves 8 but feel free to store it in the fridge for up to 5 days or freeze leftovers for use later. Place beetroot in a saucepan and cover with water. Bring to a boil, then simmer gently, stirring occasionally, for 15 minutes, or until tender. Meanwhile, season the sowrdfish with cracked pepper to taste. 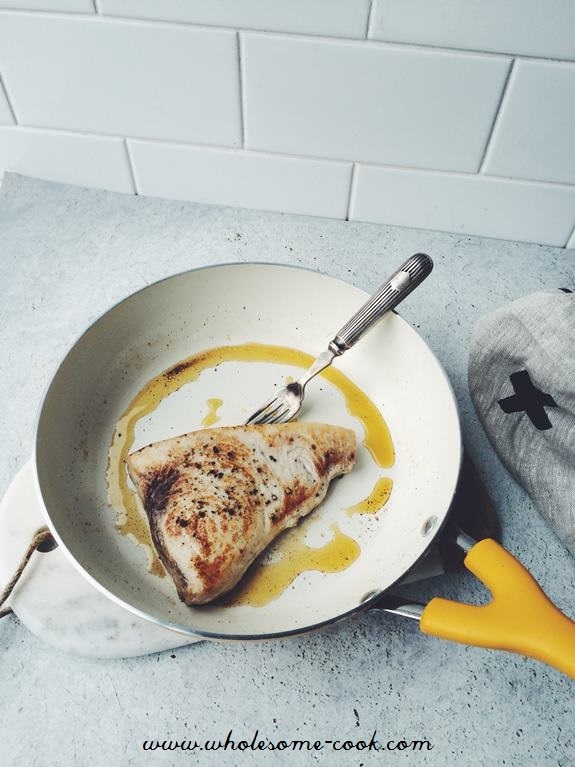 Heat olive oil in the pan and sear swordfish steaks for 2 minutes on high, then reduce the heat to medium and cook for a further 3 minutes. Flip, sear for 2 minutes and cook for another 1-2 minutes to cook through. Drain and place in a blender with the remaining ingredients or blend in the saucepan using a hand-held blender. Serve a big dollop of the mash topped with swordfish steak drizzled with oil from the pan, salad greens and a lemon wedge. Store any leftover mash in the fridge or freeze in for later use. 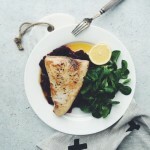 Beetroot with swordfish? Fantastic!! Love the recipe. Yum, just found your blog and I love swordfish and the kids love beetroot but I’ve never made Beetroot Mash. I’m going to try this soon and will get back how I went.